In this 8th grade humanities lesson, students read and discuss an article about the Mandela Foods Cooperative (MFC), a small community-run grocery store in West Oakland. Using MFC as a case study, students analyze and discuss the intersections of health, environment, labor, economic inequality, and food access. 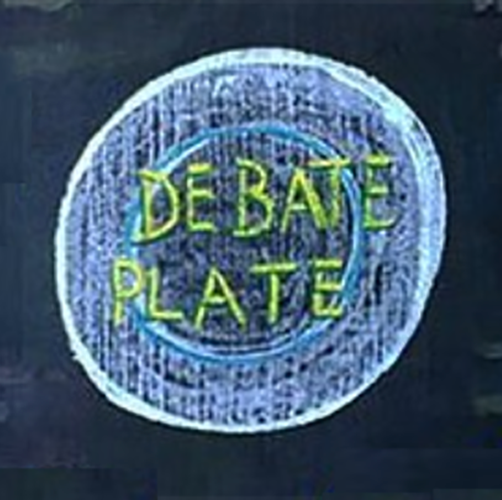 This is the first lesson in the Debate Plate lesson series, a six-lesson series that focuses on factors and considerations that influence personal food choices and the impacts of those choices. Understand and define a variety of basic vocabulary to do with the theme of food choices and food justice. Articulate the concept of food choice and give examples of different considerations someone might have when choosing what food to buy or where to shop. Discuss and give examples of ways in which issues of health, economic status, and food access intersect. Read an article that uses specialized food system vocabulary, refer to a glossary to define words they are unfamiliar with, and use this new vocabulary to answer discussion questions on topics raised by the article. Discuss reasons that consumers might choose to shop at the Mandela Foods Cooperative. Debate whether providing healthy food incentives to residents of low-income neighborhoods that excludes certain “unhealthy” foods is fair or not. Welcome students and introduce Debate Plate. Explain that next week, they’ll begin a week-long unit called “Debate Plate” that examines factors and considerations that influence personal food choices and the impacts of those choices. Today is a preview of the conversations they’ll be having in greater depth next week. Students read a commentary article about the Mandela Food Cooperative in West Oakland. Hand-out copies of the article. Point out that the title of the article labels it as a “commentary”. Ask students to define “commentary” and elaborate on what that tells them about the information presented in the article. This is an opinion piece. It is written by an individual with a specific point of view and a purpose in sharing that point of view with an audience. Hand-out copies of the discussion questions and glossary. Have students read the article — independently, in small groups, or as a class. Point out to students that they can use the glossary as a resource while reading the article. After students have read the article, use the discussion questions to facilitate a class discussion, either as a full class or in small groups. Students complete an exit ticket prompt. The author argues that the Mandela Foods Cooperative impacts West Oakland in a variety of ways beyond just providing food for people to buy. Think about the store or market where the majority of the food you eat is bought. What are some of the impacts you think this store might have in its neighborhood? The Mandela Foods Cooperative is located in an area with very few other places to buy groceries. Think about the area where you live - how many places to buy groceries are located within walking distance from your home? Thank students for their participation in the class, and tell them that they’ll continue to dig into connections between food, health, environment, and justice when they go to the kitchen next week. The author argues that the Mandela Foods Cooperative impacts West Oakland in a variety of ways beyond just providing food for people to buy. Think about the store or market where the majority of the food you eat is bought. What are some of the impacts you think this store might have on its neighborhood? The Mandela Foods Cooperative is located in an area with very few other places to buy groceries. Think about the area where you live - how many places to buy groceries are located within walking-distance from your home?